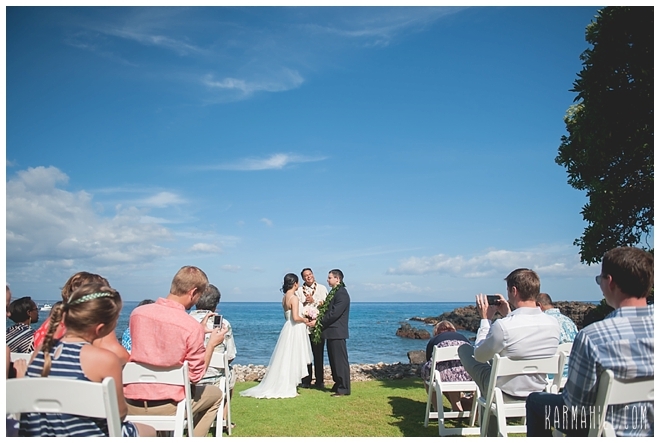 Although we absolutely adore our small beach weddings we LOVE doing Maui oceanfront estate weddings as well! 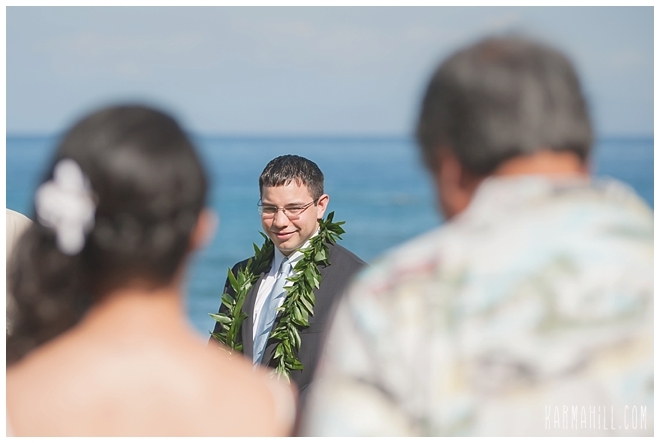 It allows for a more private and intimate setting without losing the ocean background. 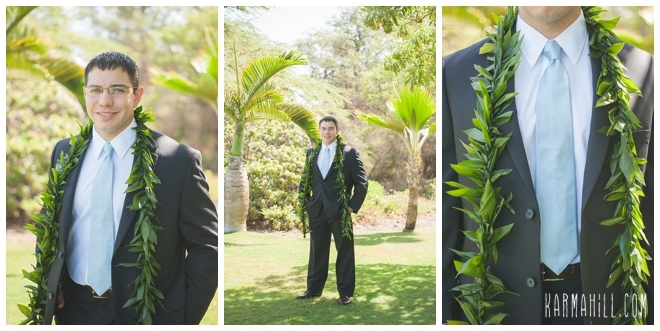 Kukahiko Estate is the perfect place for this! 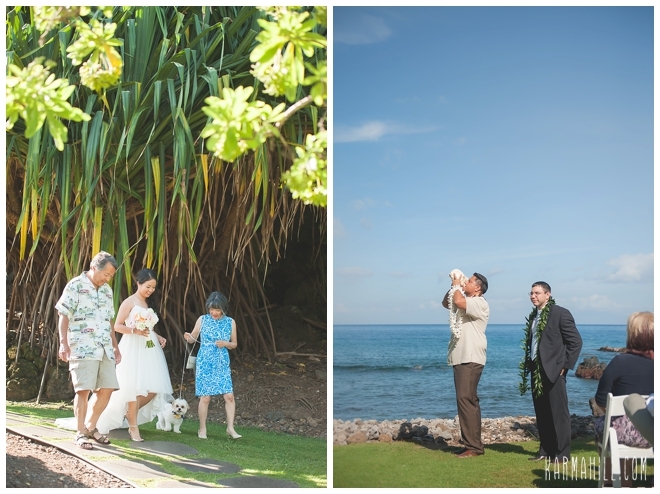 It was the exact setting that Jamie & Shane were looking for! 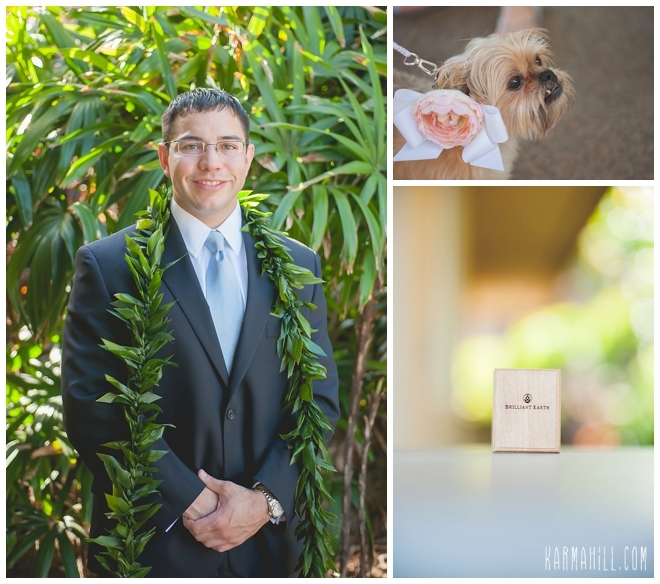 They brought their guests of honor with them... their two little pups, along with some of their close family and friends. 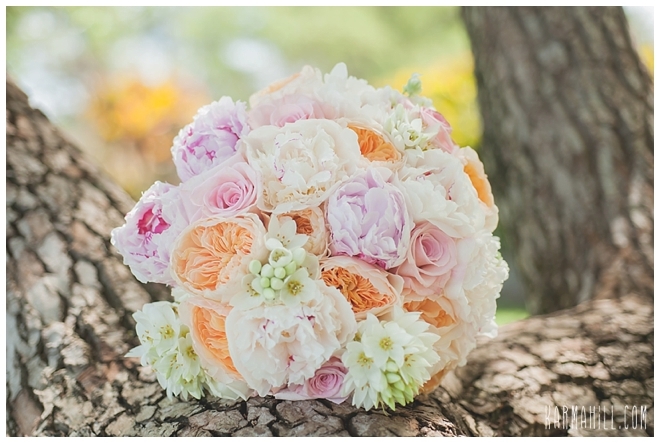 They were married by Reverend Valentine Rosete and photographed by staff photographer Naomi. 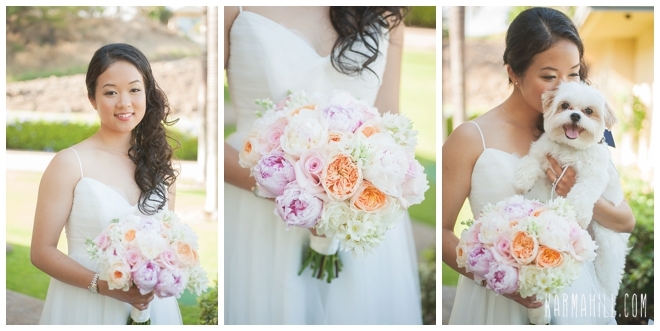 Jamie's gorgeous custom bouquet made by Dellables added such a stunning touch to the pictures. 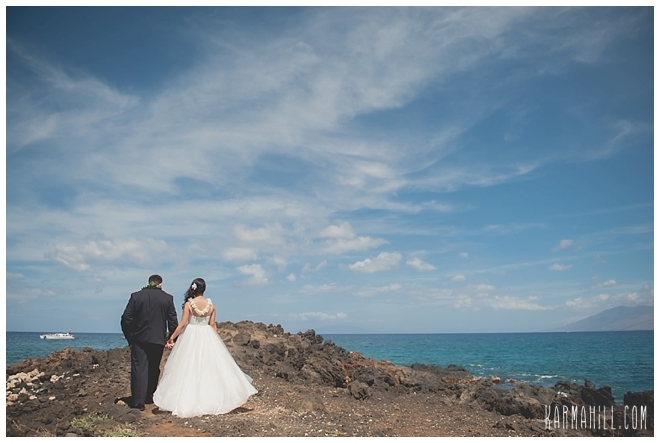 They walked out onto the lava rock jetty after their ceremony for some beautiful romantic couples portraits. 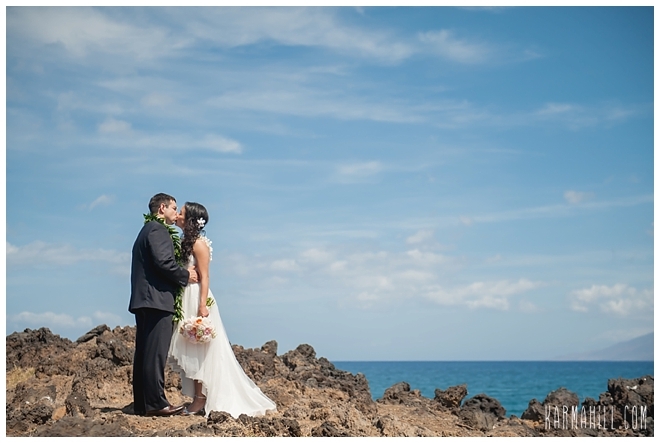 Thank you so much Jamie & Shane for choosing us to be a part of your Maui oceanfront estate wedding! 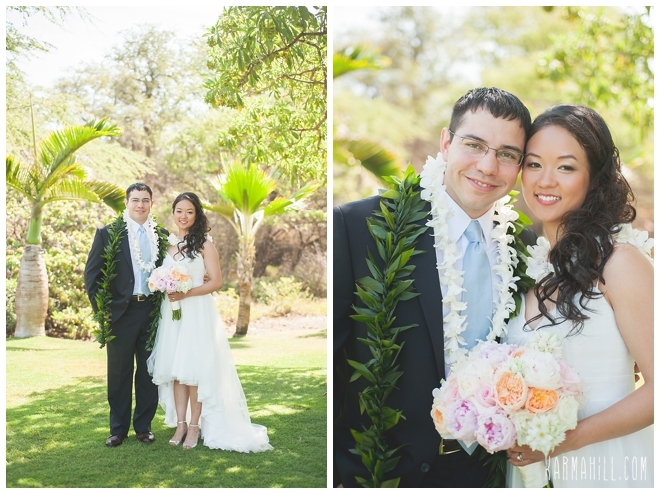 We hope you two enjoy your time in Maui and hopefully we'll see you back in a year for your 1 year anniversary portrait! 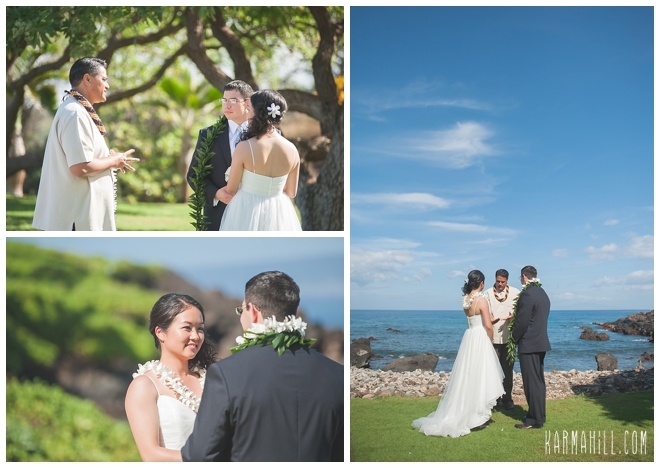 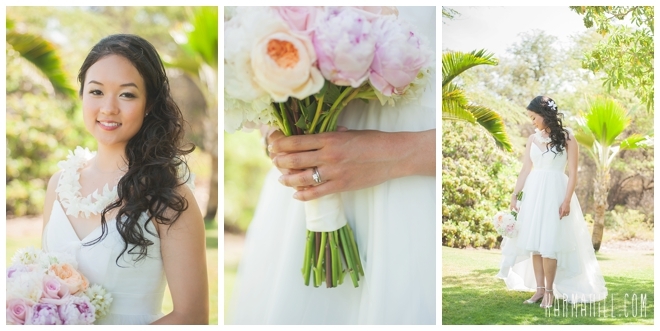 Check out our last Maui oceanfront estate wedding with Alisha & Dave!